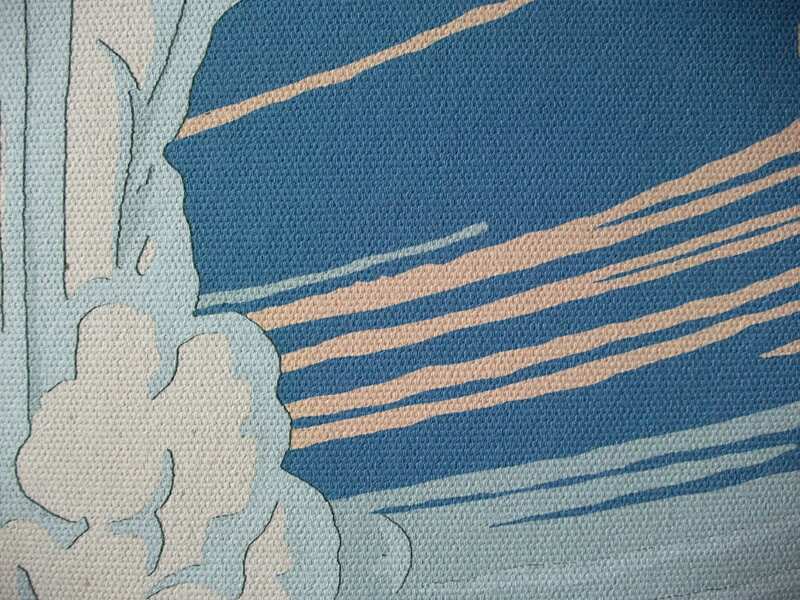 Created in the mid-1930s in response to the Great Depression, the Works Progress Administration's Federal Arts Project tasked struggling artists with promoting the landscapes and wildlife of America’s parks. Artist Chester Don Powell was born 1896 in Westmoreland, Kansas and was hired by the WPA first as a road flagman in the Berkeley Hills, then as an artist with the National Park Service in Emoryville, CA. In addition to the WPA Ranger Naturalist poster series he designed in the mid 1930’s assisted by one of his students Dale Miller, C. Don Powell worked as a model builder creating ship and bridge models for large construction projects. I have altered the colours of this poster to create a cohesive collection of three posters that can be displayed together. I can print the original version on request. This image is printed onto 100% cotton canvas fabric. 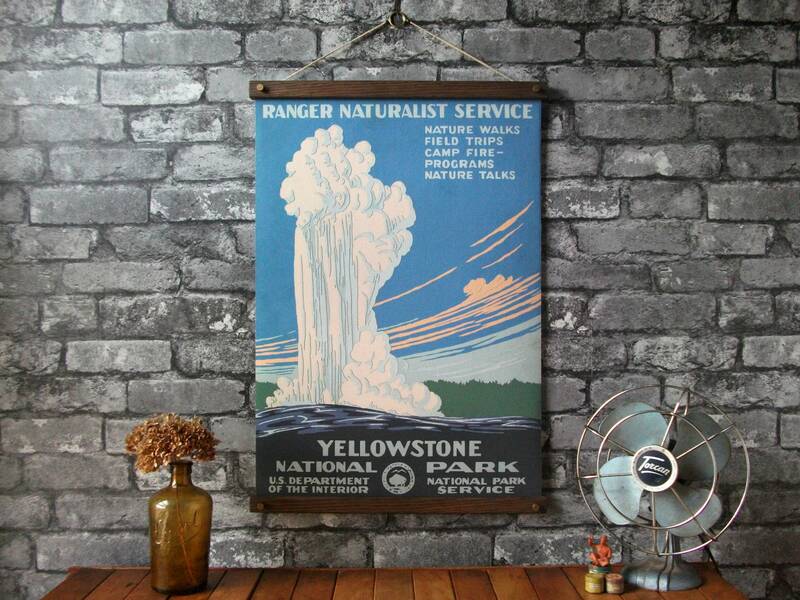 The print is displayed in a reusable poster hanger that is made of oak wood rails that are compressed together by antiqued brass thumb screws and attached to the top and bottom of the print. The hanger can then be hung on a hook or nail by the brass ring and organic hemp twine or bakers twine. + The 17" x25" wide size is pictured with Old Oak finish and hemp twine. It’s perfect! 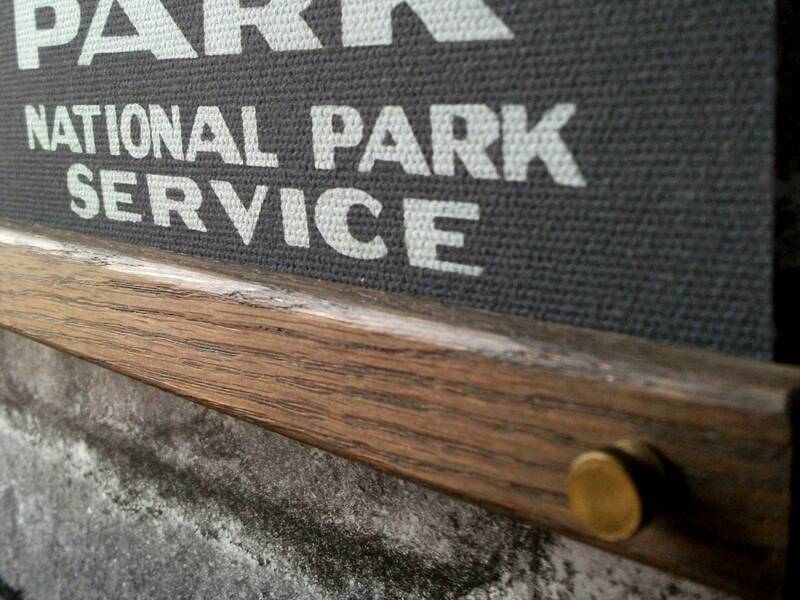 A great addition to my National Park gallery wall. Vibrant colors, high quality feel, exactly as described. Would definitely purchase more products from this shop. Great product! Made quickly can’t wait to use it!